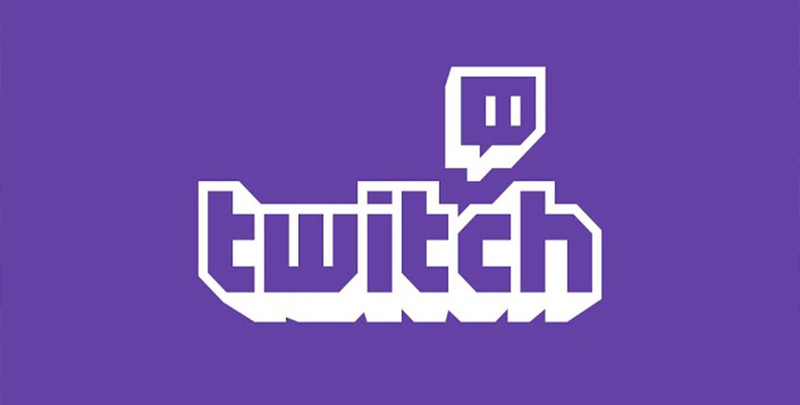 Untame is joining the indieMEGABOOTH twitch channel! Join us every friday at noon EST for an under-the-hood look at Mushroom 11 on Twitch! 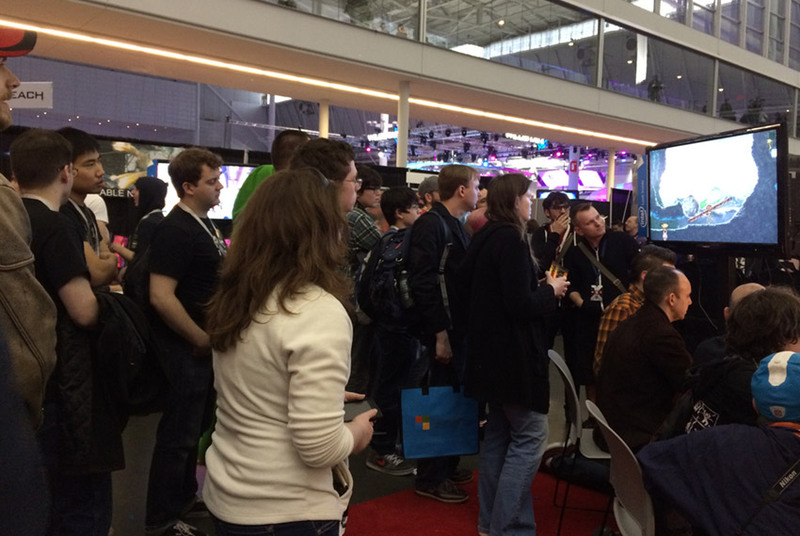 Mushroom 11 was part of the indie MEGABOOTH at PAX East this year! The game was well received among many different players. 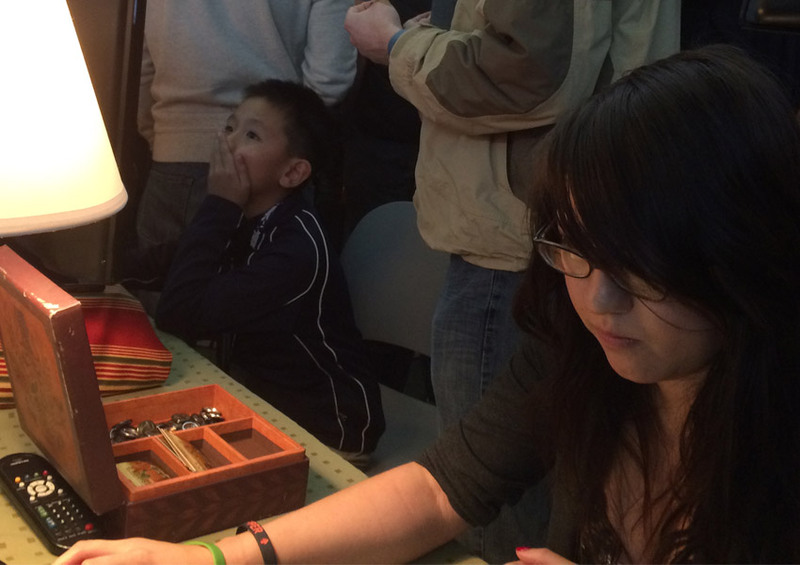 Each time we show the game off to people we learn more about how to improve the tutorial system. This time, we even had a split test. Two different versions of the game were played on separate computers. We wanted to see which one helped teach players how to move their mushroom better. 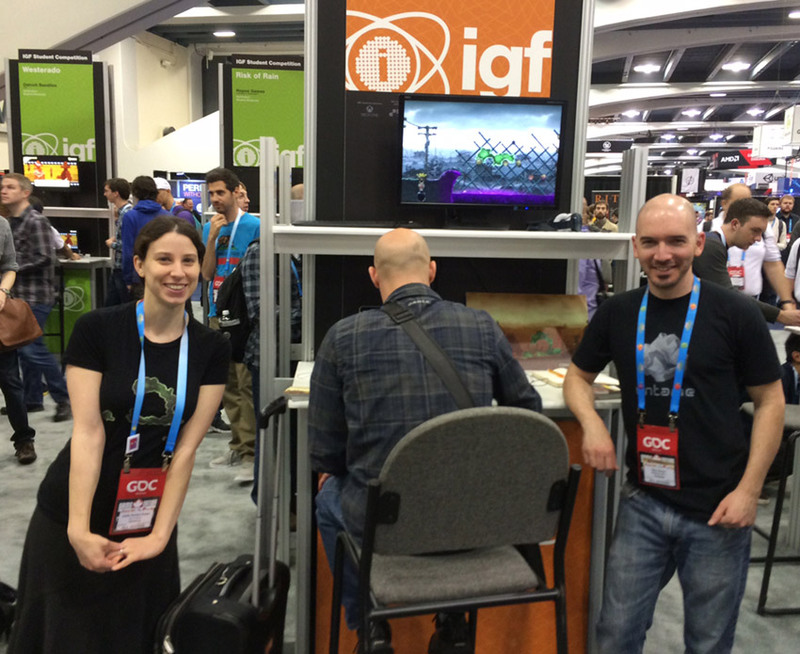 Mushroom 11 at the Independant Game Festival at GDC! 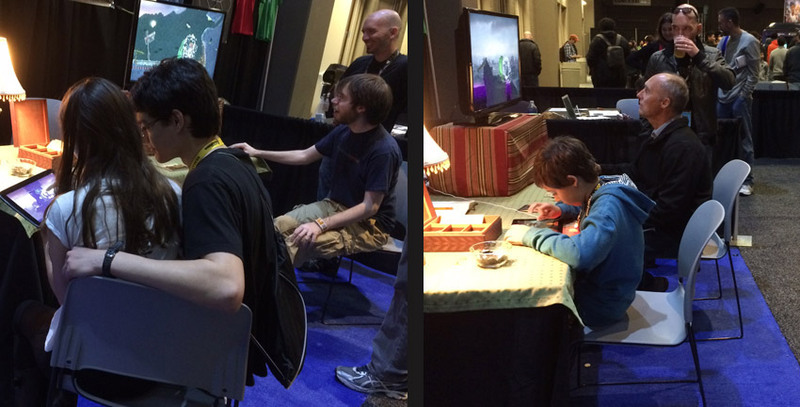 Mushroom 11 drawing in the crowds at GDC. Announcing collaboration with The Future Sound of London for the music of Mushroom 11! Untame is proud to announce the collaboration with electronic music supergroup The Future Sound of London! With their beautiful experimental music, FSOL has been a huge artistic influence since the 90s, and we’re humbled to join forces and share their electrifying music in Mushroom 11. 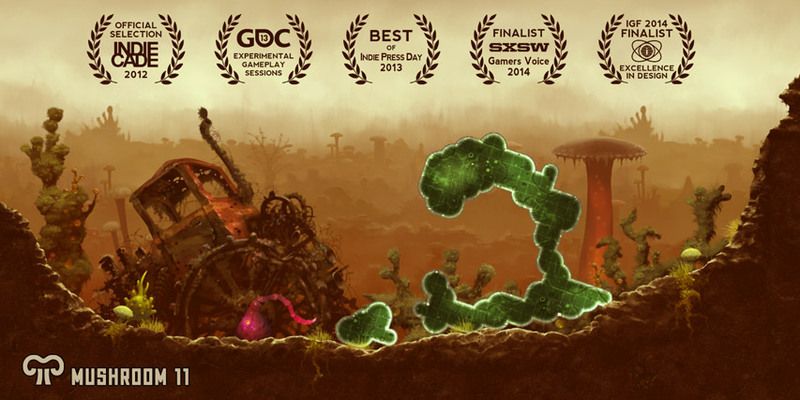 Mushroom 11 is up for the prestigious IGF 2014 Excellence in Design Award, so if you’d like to play the latest build and hear the new music score, come by the IGF Pavilion at the GDC Expo, San Francisco, March 19-21. Read more on the announcement in Our Blog! Mushroom 11 getting some love at SXSW! 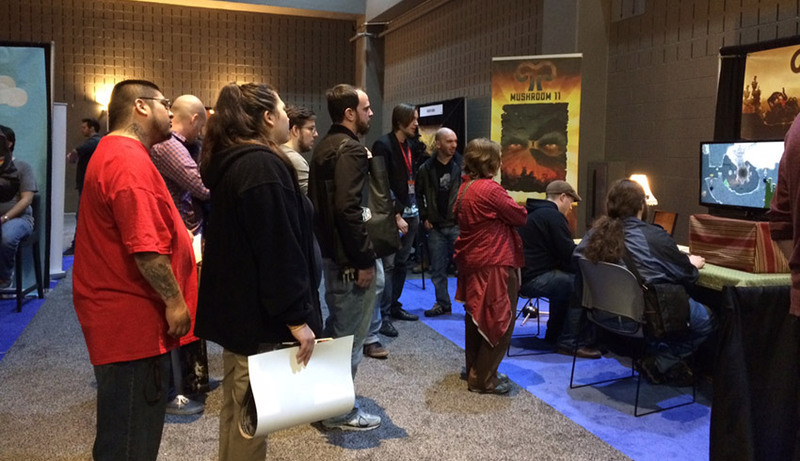 Mushroom 11 was nominated for the Gamers Voice at SXSW this past weekend and we showed it off to attendees. It was great to see it getting a warm response by all types of players, yound and old, self proclaimed gamers and non-gamers alike! 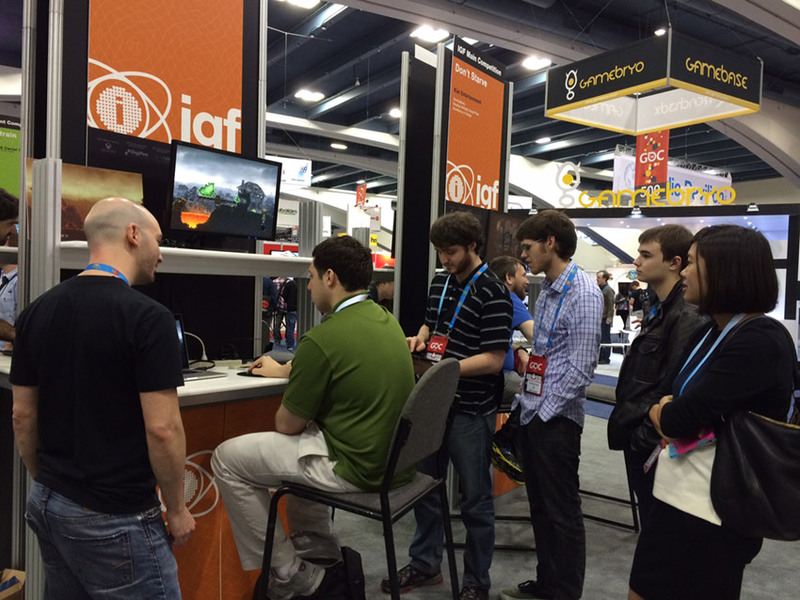 If you are going to GDC, please stop by the IGF pravilion where we will be demoing the game. Come check it out and say hi! 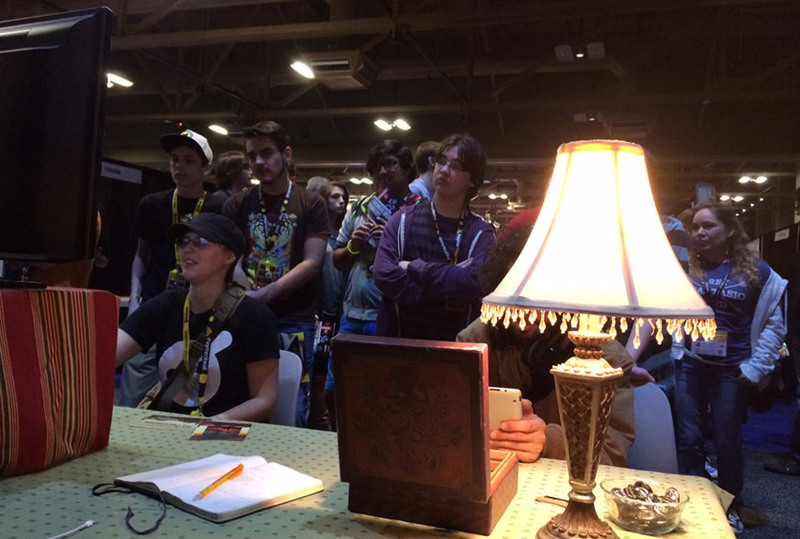 IGF 2014 and SXSW Gamers Voice! 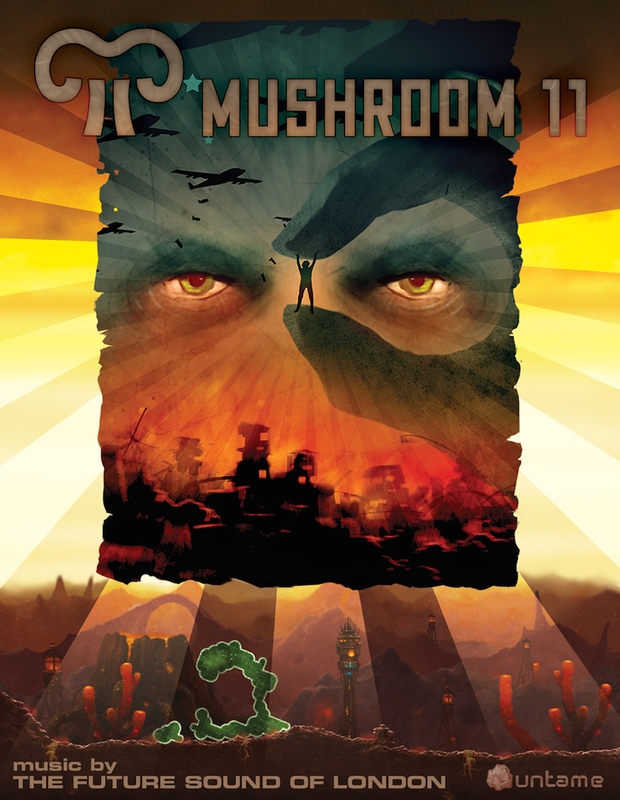 Mushroom 11 is nominated for the Excellence in Design award at the 2014 Independent Games Festival next month during GDC in San Francisco. Also, this just in! 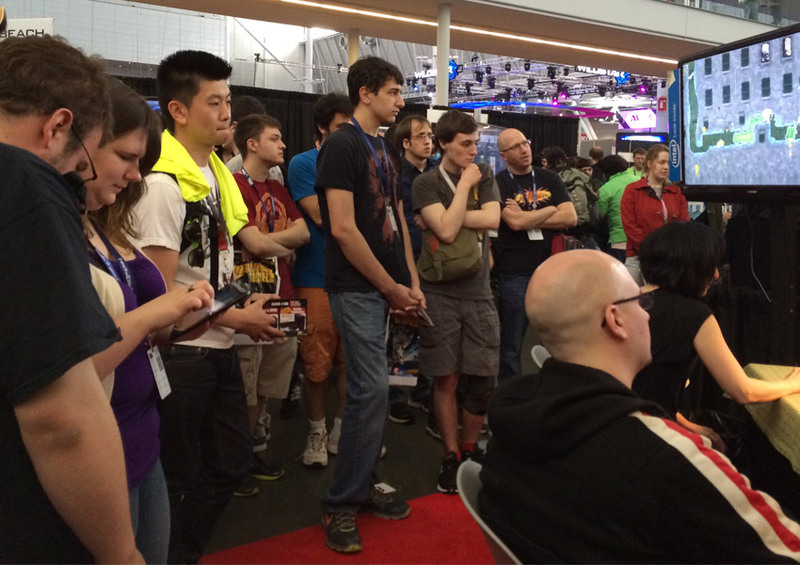 We’re nominated for SXSW Gamers Voice, next month in Austin, TX. SXSW Gamers Voice is awarded to the favorite indie game, as showcased in the interactive section of this exciting festival. Much travel is coming soon! Check out this fairly recent teaser! New content and art is constantly being added so check back soon for more!